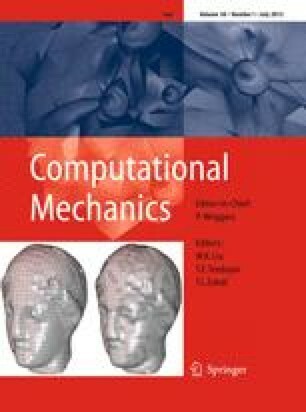 Meshless methods based on collocation with radial basis functions (RBFs) are investigated in detail in this paper. Both globally supported and compactly supported radial basis functions are used with collocation to solve partial differential equations (PDEs). Using RBFs as a meshless collocation method to solve PDEs possesses some advantages. It is a truly mesh-free method, and is space dimension independent. Furthermore, in the context of scattered data interpolation it is known that some radial basis functions have spectral convergence orders. This study shows that the accuracy of derivatives of interpolating functions are usually very poor on boundary of domain when a direct collocation method is used, therefore it will result in significant error in solving a PDE with Neumann boundary conditions. Based on this fact, a Hermite type collocation method is proposed in this paper, in which both PDEs and prescribed traction boundary conditions are imposed on prescribed traction boundary. Numerical studies shows that the Hermite type collocation method improve the accuracy significantly.